This is what our Members strive for. Each year, one lucky recipient is awarded this prestigious trophy for an exemplary contribution to The Pheasant & Waterfowl Society of Australia, and the development of Aviculture in Australia. For those who don't know Ray, he was a born and bred in the Riverlands, South Australia. When he and his wife moved to Queensland, they successfully kept a wide variety of species; however Ray's passion was Game Birds and Softbills. Ray established Garwood's Pheasant Park, which was famous Aviculture-wide. 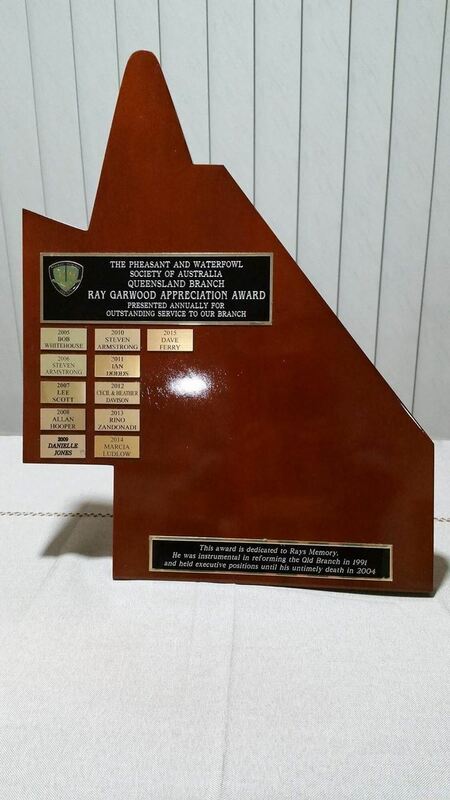 Ray held many positions on various Management Committees, including leading roles within The Pheasant & Waterfowl Society of Australia, before his untimely passing in the mid-2000's. Many of our Members recall his unofficial motto: "birds first, aviculture second, and the self last". To honour his memory, and impact that he had upon our Association and Aviculture in general, we established this exemplary Member Award. It allows that legacy to continue, and provide winners with the knowledge that their commitment has not gone unnoticed. To be a part of this incredible experience - make sure you are a current Financial Member of our Association. This is nominated on at the last meeting of the year, with a decision delivered by the President at the Annual General Meeting. 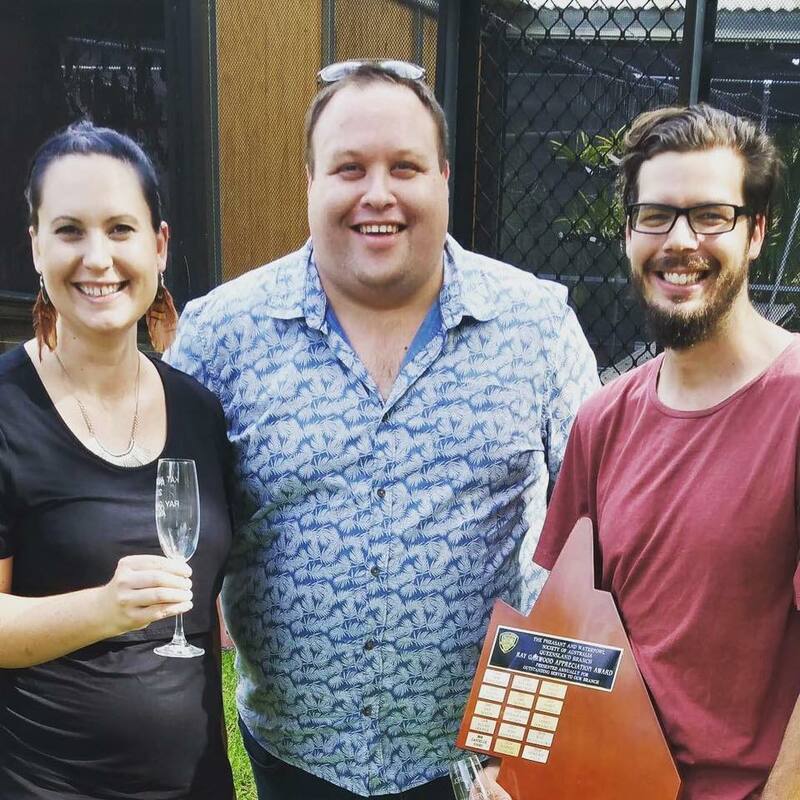 A unanimous vote from our Members saw the winner of the 2018 Ray Garwood Award going to Kathryn and Jordan Hale from Tail Feathers Brisbane! Their efforts into evolving The Pheasant & Waterfowl Society of Australia are exemplary, and the award is well deserved. Pictured right is Kathryn & Jordan receiving the award and their prizes from President, James Goodrich. Congratulations Kat & Jordan, we look forward to having you play an active role in the PWSA's future!